Can you answer these clarinet questions? You will find a list of all of the topics in the description of the video. It includes discussions of how to play more musically, how to choose a barrel, how to tune the clarinet, how to tell if your instrument is in good shape, how to oil keys and lots more. Sorry for not including the link. I hope you enjoy it! 30 Clarinet Questions answered for you by 2 experts! Clarinet Mentors Live Event - Experience the power of this amazing live, learning experience - So Exciting!!! I love going "live online" with members of the Clarinet Mentors community. This Saturday, I'm teaming up with Sean Perrin, host of the Clarineat Podcast. 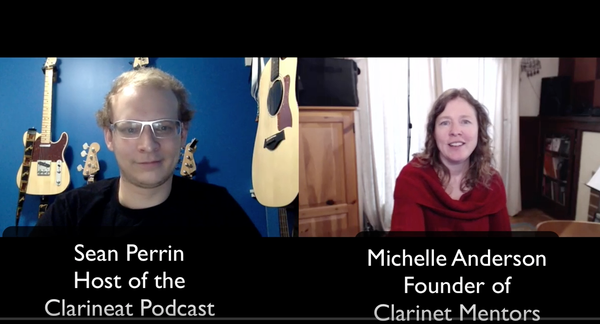 We are hosting a live question and answer broadcast to discuss all things clarinet! This can include clarinet gear, performance technics, specific challenges you are having with your clarinet playing that we can help with, and more. A Note From Michelle Anderson - Hello and Aloha!